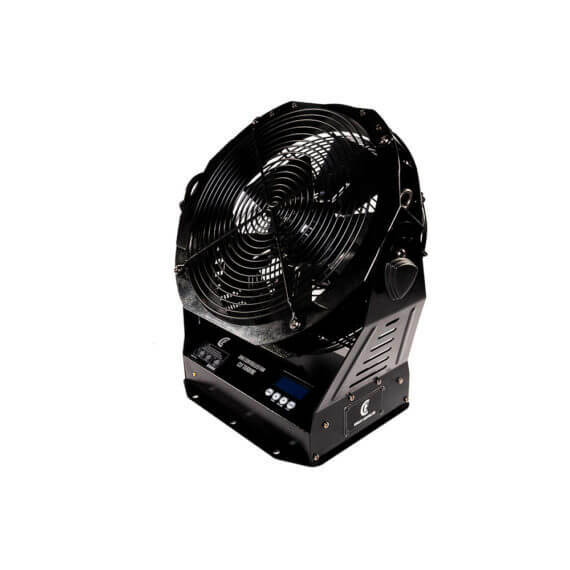 The Turbine is a powerful touring fan with high-strength plastic blades and a solid metal housing for a durable and long-lasting lifespan. 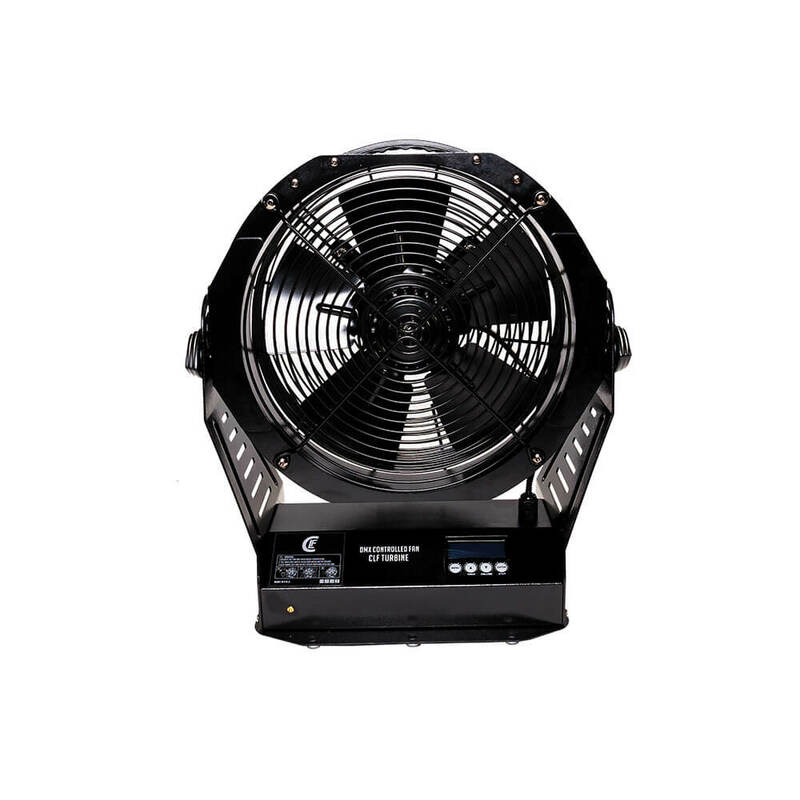 The fan can be controlled manually by using the on-board menu, by wireless remote or by DMX. The speed of the fan is adjustable from 1%-100%. 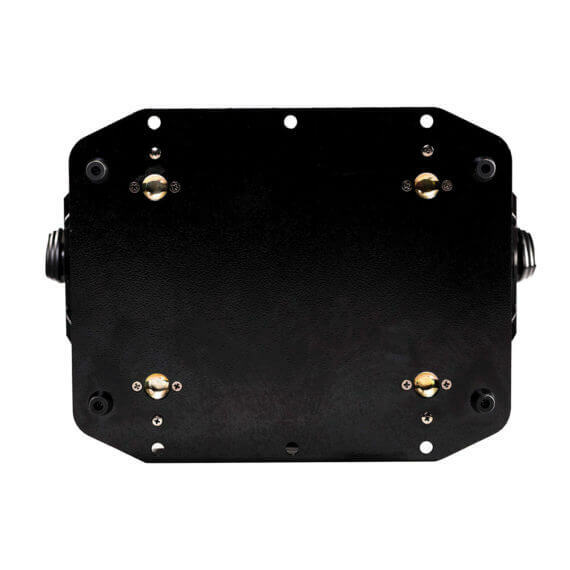 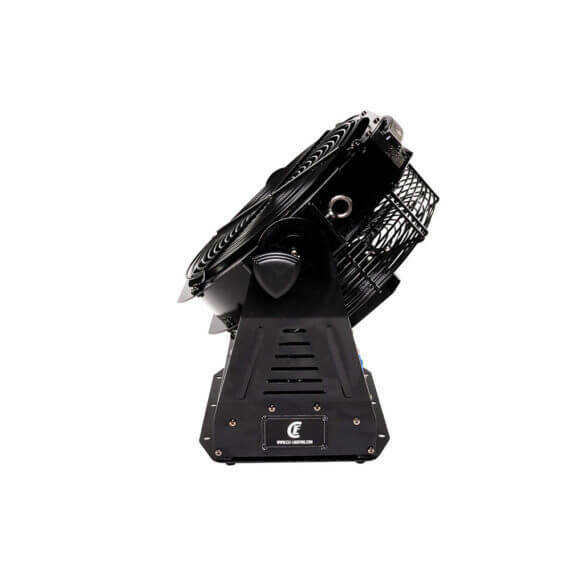 The Turbine can be mounted in any position and the airflow direction is manually adjustable.